1. Person-to-person is prioritized. The news feed is sorted and customized based on a ranking system. Facebook wants you to see more stuff from people. As a result, you will see fewer posts from pages. 2. Long and thoughtful replies get a boost. This was the second half of the announcement, and it seems to be a significant pivot. Recorded videos will not get nearly the weight they once did. Passive scrolling and low-quality engagement are now bad. Posts that get long, thoughtful replies will get priority in your feed. Yes, this certainly sounds bad for pages. But as I’ve said repeatedly now, we simply don’t know how this will impact your page until these changes are rolled out. Why freak out about something before it happens? When I wrote my post about this on Friday and shared it to Facebook, guess what happened? That post has received more reach, shares, engagement, and link clicks than any of my posts in recent memory. Admittedly, I’m not as active on my page as I once was. I don’t post for the sake of posting. I basically post when I have something to say, and it’s typically about once per week. Still, kind of weird to get that type of engagement when it’s supposed to be disappearing, right? I mean, that’s the whole point of the update in the first place. Of course, it wasn’t just me. 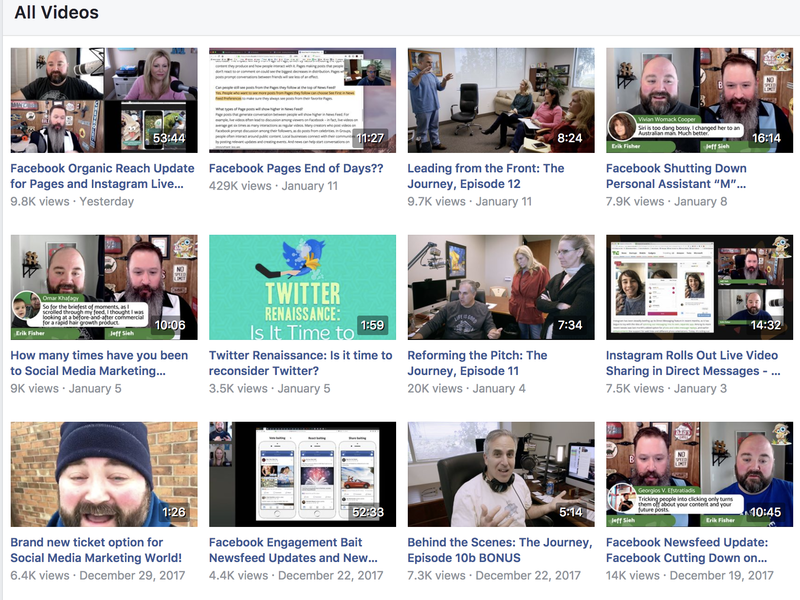 Social Media Examiner conducted a Facebook Live to discuss the news feed update that resulted in more than 5,000 shares, 400,000 views, and 1,000 comments. After a quick glance, it looks like a typical video of theirs gets fewer than 10,000 views. Our two pages are just a couple of the dozens and dozens of examples. Marketers were sharing the “horrible news” of how brands will disappear in the news feed, all while resulting in ridiculous engagement numbers. Shouldn’t these posts have fallen into an abyss? A ghost town? Did anyone notice the irony? Granted, maybe this change hasn’t been put in place yet. But we’ve heard before that pages would receive lower priority in the feed. In 2014, the news feed was updated to show fewer text updates from pages. Later that year, overly promotional posts from pages were punished. I don’t recall seeing a signficant drop in my page post performance after that change. And, who knows? Maybe I won’t this time either. I hated typing that line. Did you feel it? I have no issues with live video. However, I do hate when marketers react based on post type to get the most reach. We’ve seen it so many times, I’ve lost track. Remember when marketers used an image with an ugly link above it? They did that to get more reach. Remember that update I mentioned above about text updates? Those had to be devalued from pages only (not people) because EVERY FREAKING POST from pages was a text update. That’s what annoys me about this. Yes, Facebook does really seem to be encouraging us to use live video. But don’t use live video for everything. Don’t abuse it. I don’t need a live video five times per day from you. You know what’s coming, right? Later this year, an update to the news feed regarding live video from pages. By all means, use live video. But use it because the format is the best method of conveying your message. Not because the news feed algorithm will be tricked to show it to more people. This goes without saying, right? But sometimes, I feel that marketers need a reminder. Far too often, we get blinded by analytics. Strategies are based on the numbers. People like videos, so we need more videos. This link update did poorly, so no more links. Short text over long. Call to action. All that stuff. I’m not saying you shouldn’t be strategic. But don’t forget that your audience is human. Create good content — in whatever format is best — that they’ll want to consume. That they’ll find helpful, educational, or entertaining. That’s easier said than done for some industries. But sit down and create a list of ways that you can help, educate, or entertain your target audience. Then decide the best way to communicate that message. It shouldn’t be surprising that the posts from marketers about the news feed change did so well in the news feed. It’s a topic that people care about. They’re passionate about it. It inspires emotion. And these posts also resulted in meaningful comments and engagement. This stuff is hard, I know. It’s why not every brand will succeed on Facebook. But when you share something, have a purpose. Think of your audience. Consider this a conversation rather than a direction to click on something only. Ultimately, posts that lead to long, thoughtful comments will have the most success on Facebook. And it just makes sense. Is a post that gets lots of likes, but no comments meaningful? Not usually. Is a post that gets lots of one word and one sentence replies interesting? Not as interesting as one with actual conversation. This goes back to “just create high quality content, stupid.” But Facebook’s focus on thoughtful replies and away from passive engagement could be what does ultimately kill some brands on Facebook. I mentioned this the other day, too, but it needs repeating. Facebook is ready for you, too. 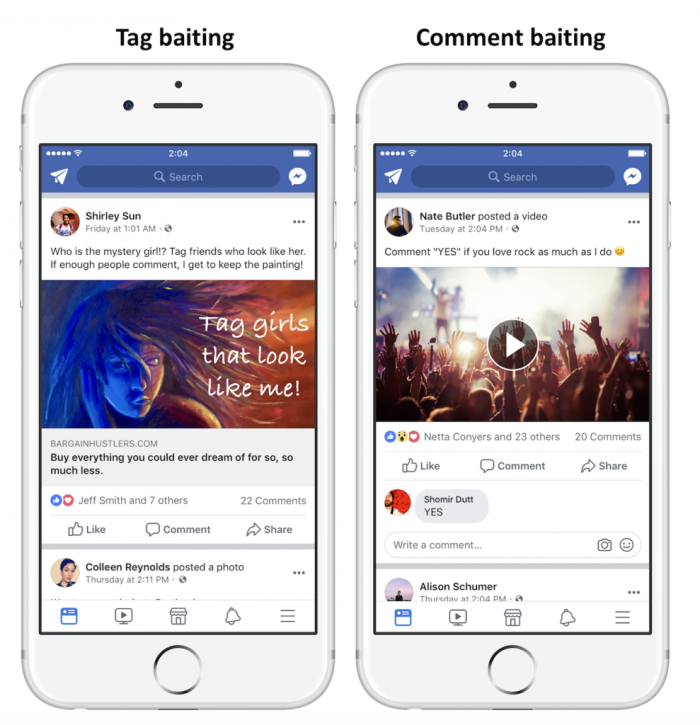 Using ‘engagement-bait’ to goad people into commenting on posts is not a meaningful interaction, and we will continue to demote these posts in News Feed. This is a confusing concept for some marketers. Facebook wants engagement, but you can’t bait users into it. You can actually get engagement without engagement bait. This is consistent with Facebook’s emphasis on authenticity. Your goal is to not only get lots of comments, likes, and shares, but for that engagement to be meaningful. If you’re looking for ways to expand or shift your efforts to limit the impact of this change on your brand, you may consider exploring Facebook Groups. The first changes you’ll see will be in News Feed, where you can expect to see more from your friends, family and groups. 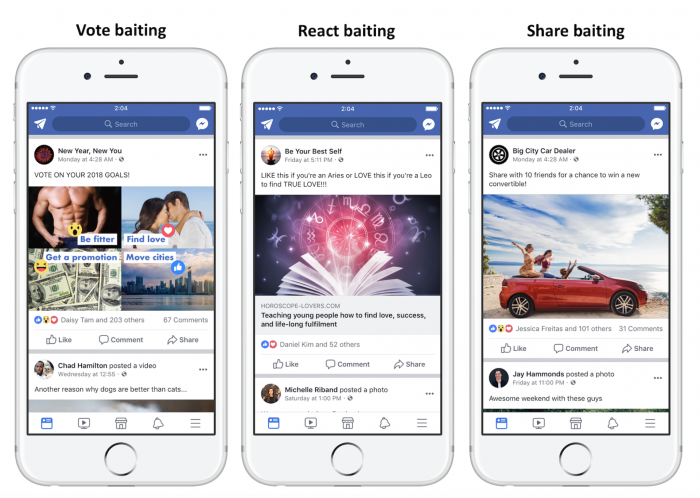 The News Feed FYI post also alluded to how “people often interact around public content” in groups when talking about ways that brands can encourage conversation from people. Back in July of last year, Facebook announced Groups for Pages, allowing brands to link groups to their pages — and even interact in those groups either as their page or personal profile. I can tell you that I’m laying the groundwork for this as part of my business. While I already have multiple paid private communities, I think there’s room for a free one as well. If you do create a group, however, do so intelligently. My fear is that marketers will create groups and then spam the heck out of the people within them. Groups aren’t a loophole for you to act a fool and pound everyone with your links. If you’re going to benefit from groups, it needs to be within the framework of an authentic community. In some cases, creating a community around your brand would be fine. I think about software products that may need a support community, for example. However, that isn’t right for all groups. While I’m planning a “Jon Loomer Digital Community,” people aren’t going to sit around talking about me all day (that would be awful for everyone). The focus will be on Facebook advertising support. So, how can you create a community that would help your customers and potential customers? Late last year, I started experimenting with Messenger bots. I’ve long resisted them, and I wouldn’t say I’ve fully embraced them. But I do see potential there, and my bot is still running. Facebook wants conversation. Messenger provides it. In a vacuum, this update shouldn’t impact your advertising efforts. There is no indication that there will be fewer ad placements as a result of this. 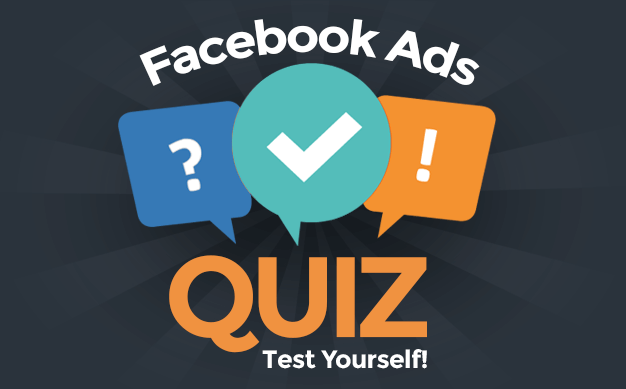 If you were running Facebook ads before, you should keep running them now. Of course, ads can benefit from organic distribution as well. So if the content in your ads generates meaningful conversation, that engagement will propel your post organically in the news feed. Otherwise, how this impacts advertising will depend upon how and if the market adjusts to these changes. Maybe many brands will suffer organically, and they’ll be forced to advertise to reach their audience. Maybe most brands won’t actually see a change. Or, maybe brands will suffer so greatly, that the fallout would be an exodus from Facebook ads. Ultimately, these three scenarios impact the number of ads in Facebook’s inventory. The more ads Facebook needs to distribute, the more competition an advertiser has to get their own ads shown. And the more competition there is, the higher the prices go. As a result, there are scenarios (namely, the exodus) that could result in ad costs going down. But more than likely, you should expect costs to either remain steady or increase as a result of this. Other than potentially starting a new Facebook group, I don’t plan on making any changes — small, large, or otherwise — in the way I create content for Facebook. My page has somehow survived more than six years of news feed changes, and I think I’ll survive this one, too. Evalute what you’re doing now. Do you create content that inspires authentic engagement and conversation? If so, you’re probably going to do just fine. In fact, some seem to think you may even benefit from this change. At the same time, how this impacts anyone is a big, fat unknown. We control what we can control. It’s entirely possible that my results will fall off a cliff in the coming months. If that happens, I’ll need to adjust. That could mean changing the type of content I create. It could mean assessing how I generate discussion, and the language that I use. Or it could be a matter of exploring live video, groups, or more advertising. But for now, I’m not going to worry about it. And if you feel you’re doing everything you need to be doing, you shouldn’t worry about it either. What, if anything, are you changing about your approach in response to this news feed update?